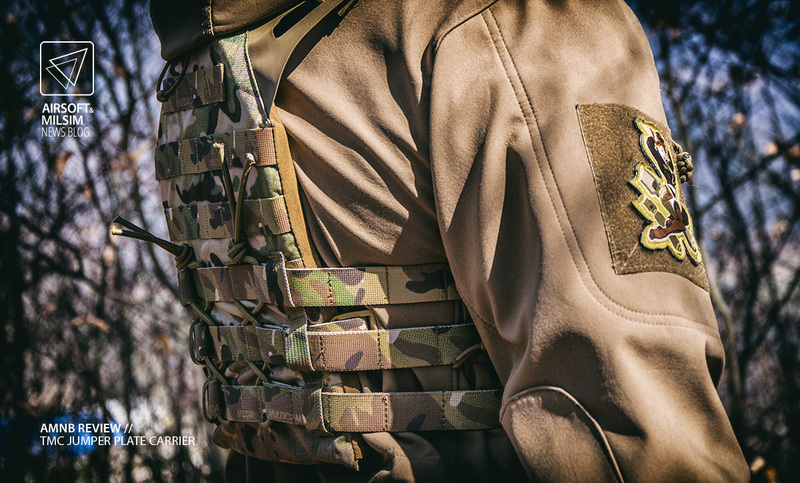 Today, we’ll be taking a close look at the Jumper Plate Carrier JPC, made by TMC. 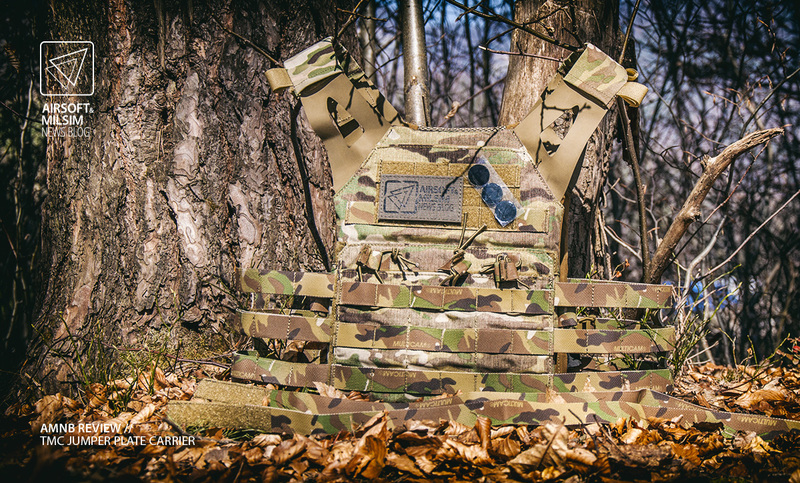 This is a replica of the Crye Precision’s Jumpable Plate Carrier and is supposed to share all the features, excluding the actual ballistic protection. 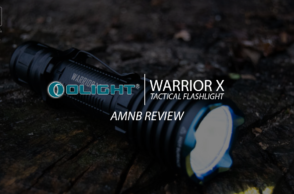 This review was made possible by our friends over at WEAPON 7.62. 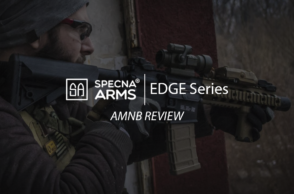 They strive to bring airsoft as a game to a higher level and on their web-site, they offer the gear to make that possible. With an European based warehouse, they ship worldwide and offer superb customer service, so go check them out. Now we’re aware, some of you guys (or gals) may cringe when someone mentions TMC. Some of you might also be past that and realise, that their items are actually not that bad, taking the price into account. 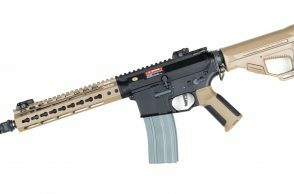 It’s this authors opinion, that the items produced by TMC are perfectly acceptable for their intended use, which is airsoft/reenactment. They could be a hit or miss in real life situations, but are usually still worth a look, especially if you’re on a budget. 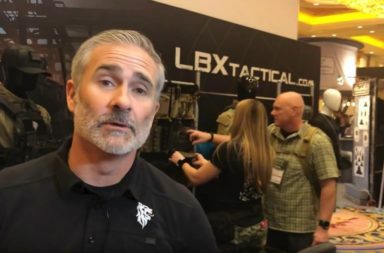 Sure, it’s not hard to wear Blackhawk!, LBT, Crye and such, when you are made out of money (or at least your parents are), or if you have only one hobby to spend all extra funds on. But if you are like the most of us, who need to manage their finances down to a cent, you might find this particular item quite interesting. 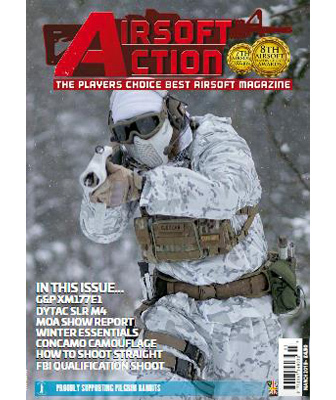 Airsoft being more than just a hobby, it usually requires more than it should. And at the end of the day, it really just comes down to one’s own preferences and needs. Not to mention real life applications. If my life depended on it, i would definitely go for the genuine gear. But hey, even though your riggers belt might never see an inside of a heli, it’s still nice to know that if a situation like that was to happen, it would work as intended. With plate carriers it’s a bit different. 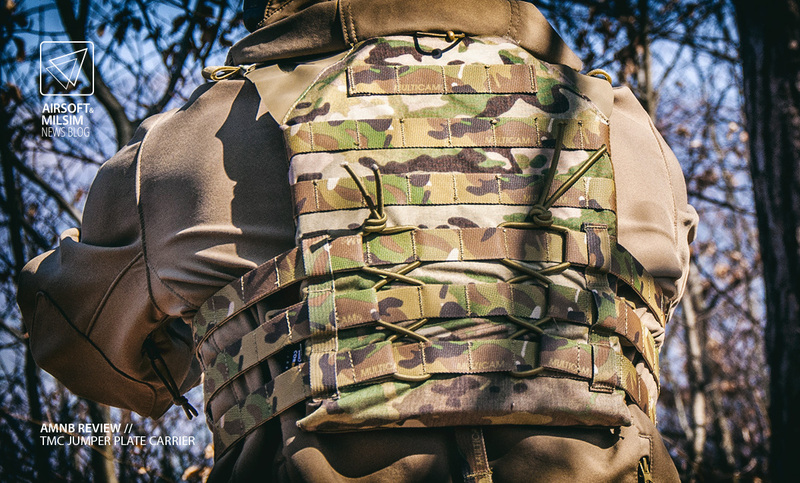 Again, it’s up you you, the reader to decide if you really need to spend 250 bucks on a real plate carrier or a nice replica will do just fine. Some might have that “train as you fight” mindset, but if the specs are correct and the weight in correctly simulated, i don’t see why all the fuss. Fortunately there are some items on the market that look and work the part and won’t break your bank. This item looks very promising, so let’s get it on. After a few minutes of dicking around with the JPC, i was more than happy with the overall build quality. The carrier as a whole felt quite rugged and sturdy. All hook and loop closures were very tough to open, which was a good sign. Included in the package are three round hook and loop sticker patches and two pieces of webbing for “single strap” closure function. Also included are the front and back dummy protective plates. I was also curious about the weight since if felt quite light, so i went ahead and weighed it. 1,1 kg with the dummy plates inserted. 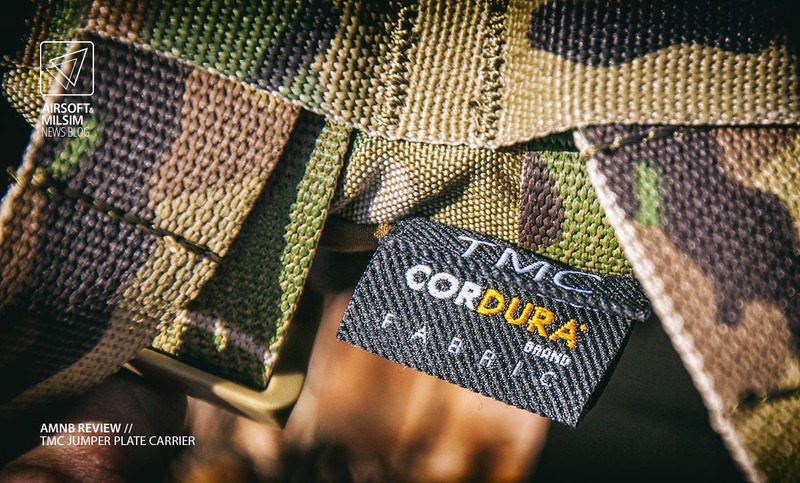 Allegedly, materials used for construction are 500D Cordura with genuine Multicam print. The tags are there and the actual feel of the material seems to support that statement. 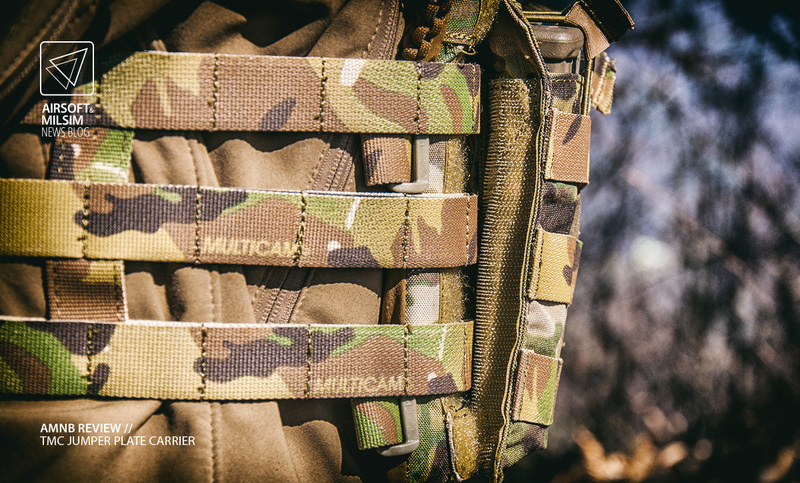 All the webbing is also printed in genuine Multicam. 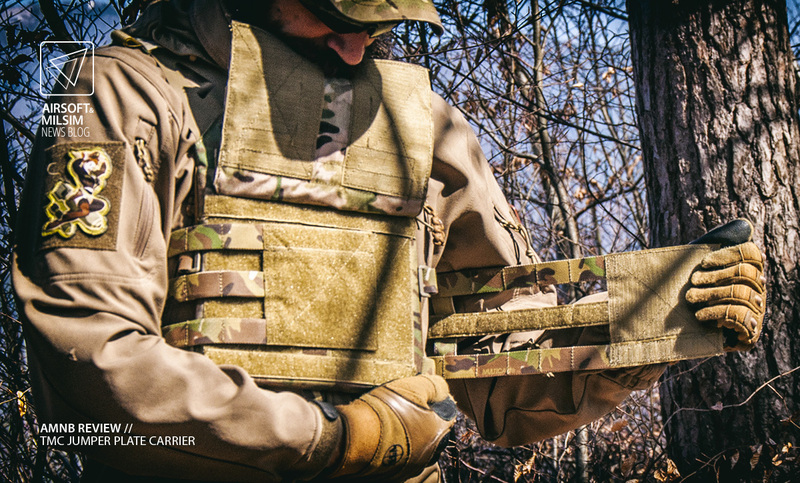 The most obvious difference between the Crye and TMC carriers is the portion that is facing your body. 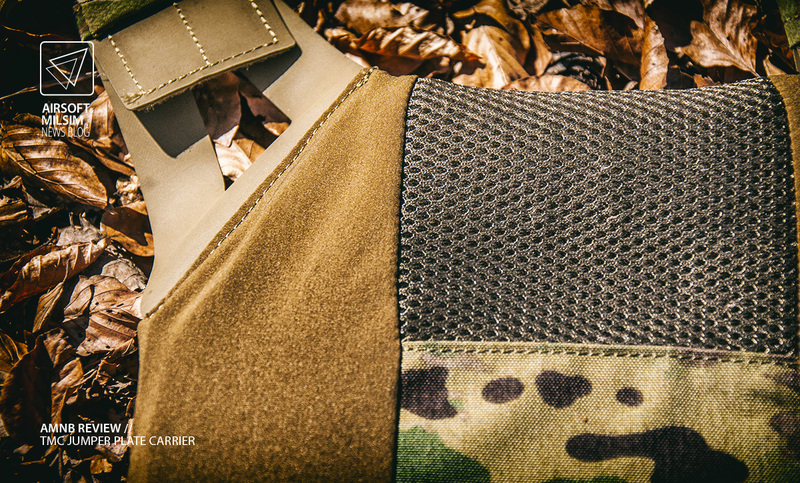 The stretchy material is in brown colour instead of Multicam. 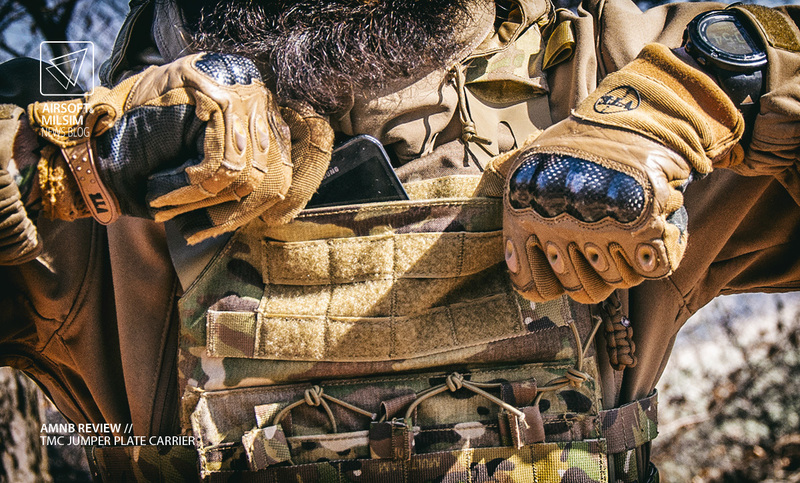 While the ballistic protection compartment it’s not reinforced on the inside like on the Crye one, the stretchy material still feels like it’s of high quality. The ventilation mesh part is also a bit different, but other than that, it’s a perfect replica. The stitching is above average, almost perfect. 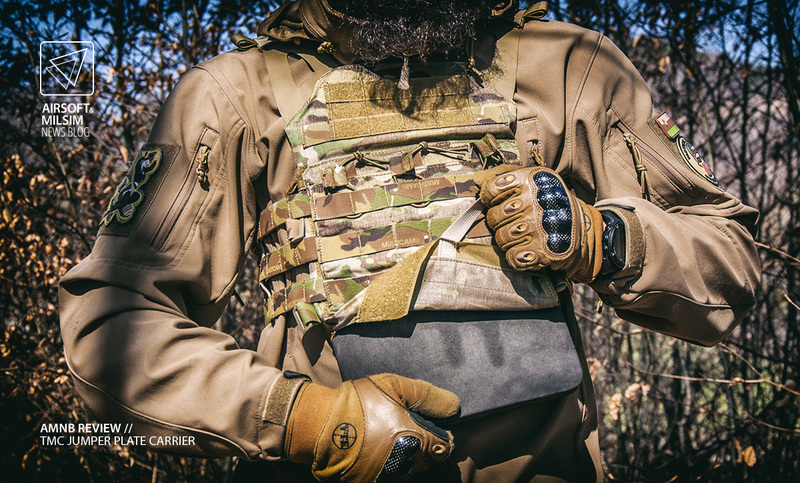 Even better than some plate carriers which are marketed as “the real deal” plate carriers. 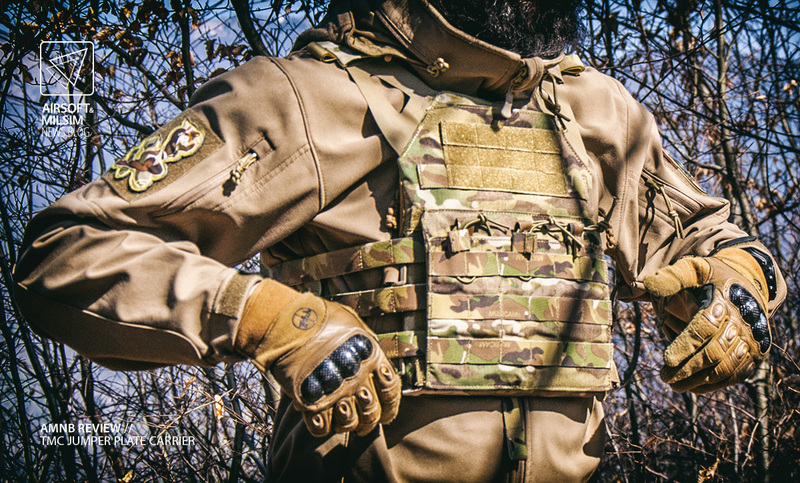 I’m looking at you, “Tactical Lightweight Armor Plate Carrier Vest” from a company that shall remain unmentioned. Seriously though. 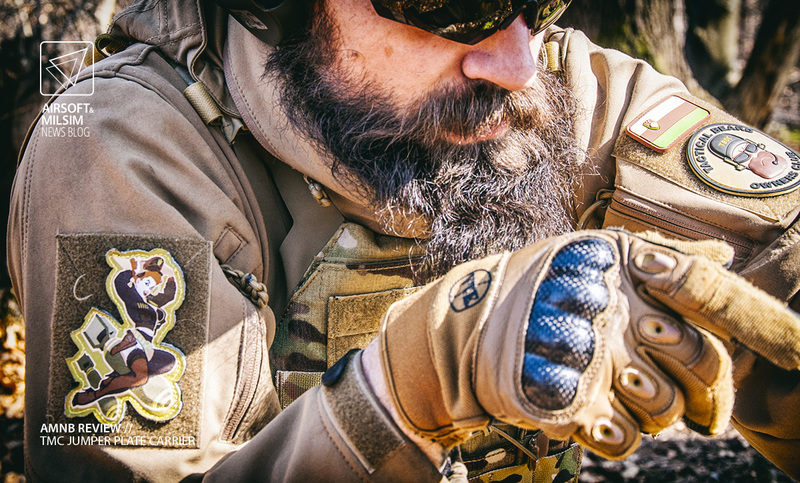 If you can’t even get the stitches of the molle matrix in line, you shouldn’t be manufacturing tactical equipment. On this JPC, a few loose ends of thread were visible but nothing critical. Nothing a lighter and a minute of time could not fix, since the thread is made of a blend of cotton and polyester. Luckily the stitches on this JPC are nicely lined up and webbing is accurately spaced. Even after manually trying to tear a molle loop from it’s base, i was just left with sore hands. As mentioned, the hook and loop closures hold very well. In some cases, you might actually find yourself modifying parts of them, to make operation easier. Like the closure for the admin pouch up top. It holds so well, it gets really old really fast if you use it a lot. 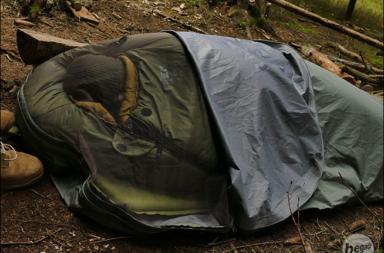 A full length strip of soft hook and loop, half of the width and you still have full closure with half of force. Shoulder strap attachment points are reinforced and the material do not seem to be prone to easy defects. Even though it might not look like it from a distance, it’s actually very sturdy. After rough handling and testing, it stayed exactly the same. Minus some superficial scratches. The shock cord used for cummerbund retention is 5 mm thick and offers just enough resistance while wearing. By the look and feel of it, it does not seem to utilise that cheap elastic that rots, cracks and stretches after some serious use. In fact, all shock cord on this JPC seems to be of high quality. Getting into the details, let’s start from the top. 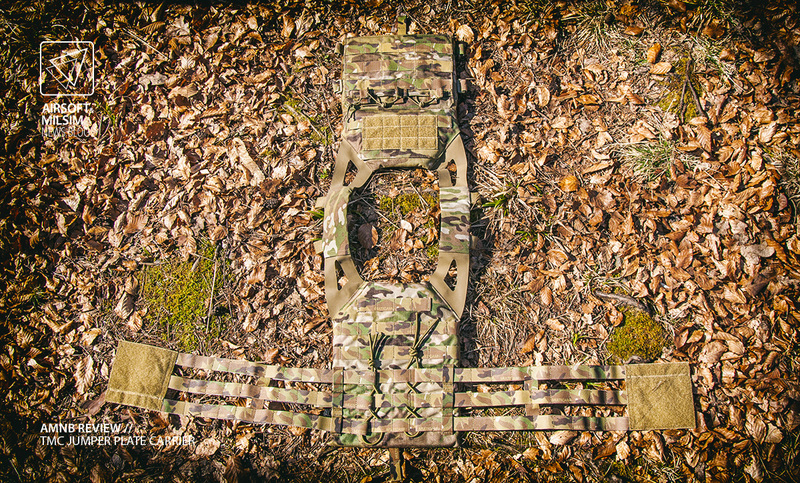 This being a replica of a lightweight and minimal plate carrier, like it’s original counterpart, it offers supreme mobility and packability. 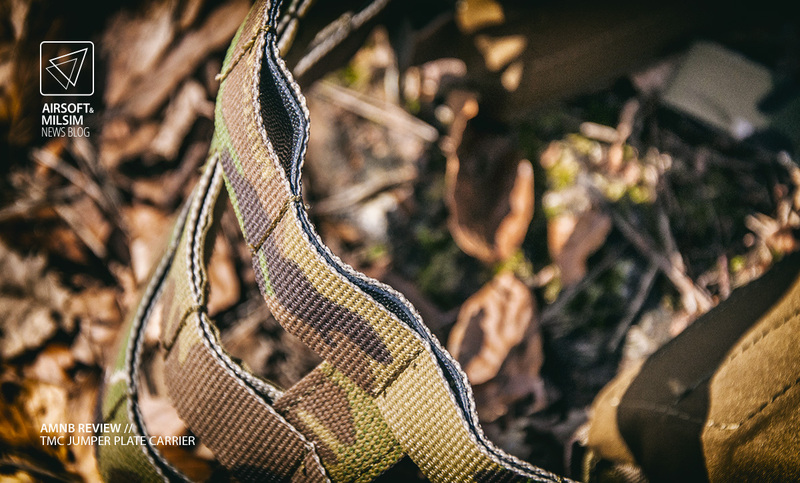 Shoulder straps are designed to be as low profile as possible. A very welcome feature, as they do not interfere with other gear like backpacks or weapon systems. After adjusting the ride height with hook and loop closures on both straps, pull those thin stretchy sleeves over them and you’re done. These sleeves also feature two drinking tube/comm wiring management tabs. Just a simple set of two hook and loop strips to secure those loose cables. When not in use, these tabs can be closed flat to minimise snagging possibilities. The rubbery bits conform to the shape of your body and give way when necessary. There is no restriction of movement, no matter what you do. This replica works just like its real counterpart, offering maximum mobility without sacrificing load capacity. 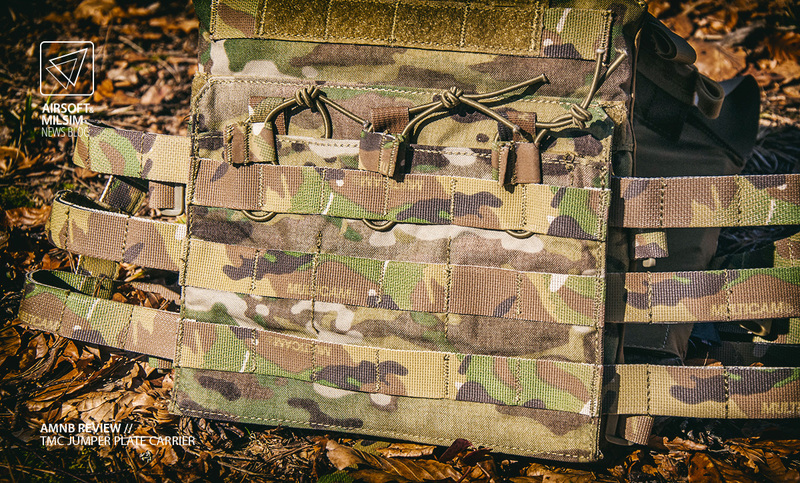 Moving to the front top centre, the JPC features an admin pouch with the mentioned hook and loop closure. 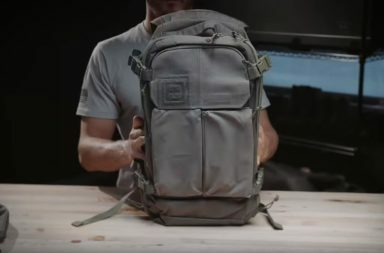 It’s big enough to safely carry smaller notebooks, maps, pens, cell phones and so on. It also features a strip of elastic, sewn to the inside on four places, thus creating three elastic loops. These hold a standard pistol magazine upright if needed. 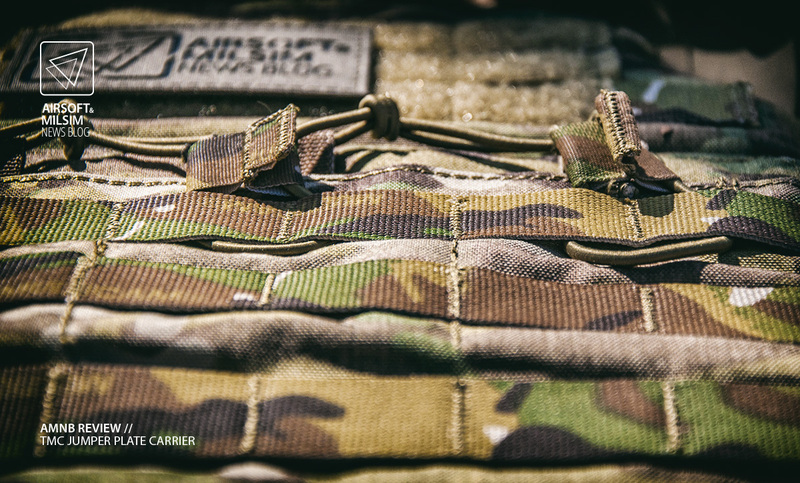 On the front of this admin pouch there is a molle matrix of 4×3 with two extra loops on the lower webbing. 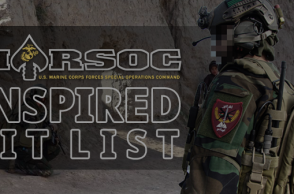 This matrix is covered with the loop part of hook and loop, so you can place morale patches or unit I.D. 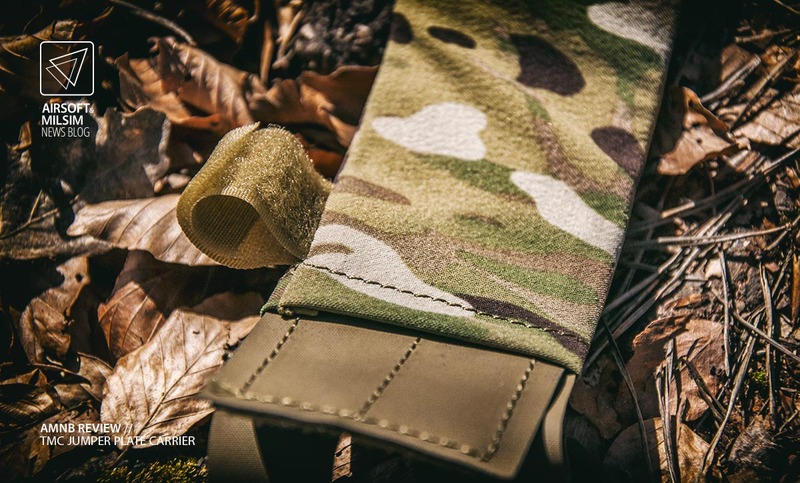 Some manufacturers even offer a shotgun shell holder which has the hook part sewn to the back. 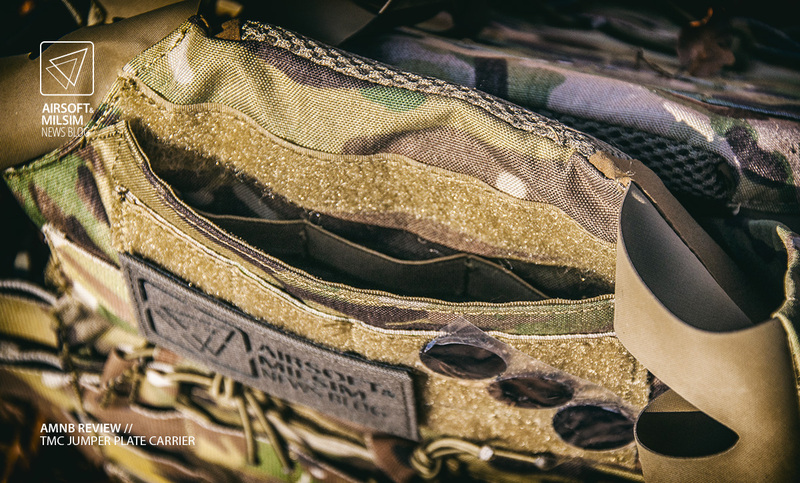 Moving down lower, we get to the other integrated pouch, which holds your rifle magazines. 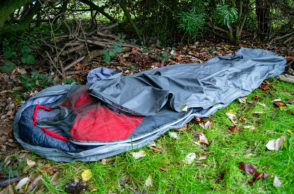 If empty, it lays flat and is closed with a strip of hook and loop. 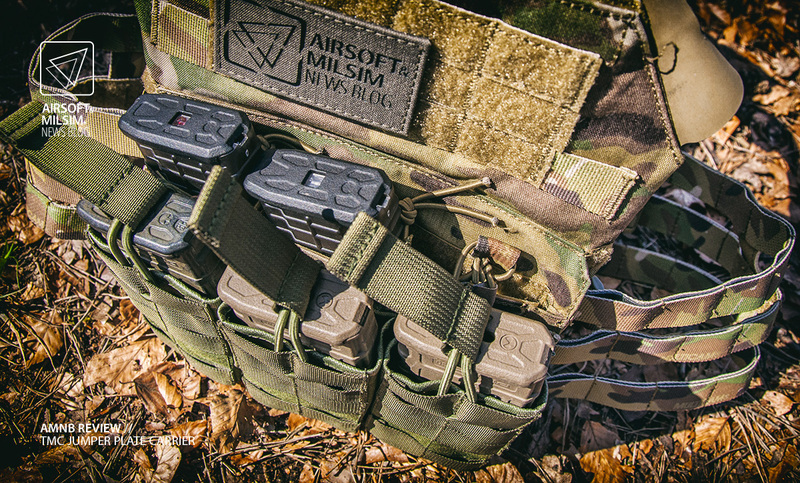 Pull it apart and gain access to a triple mag pouch with a bungee cord and tab retention system. Inside, we can also find two elastic dividers, which help secure the mags in place. 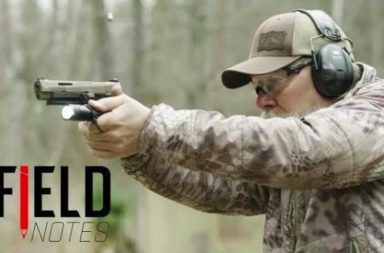 This pouch adapts to most types and sizes of rifle mags, but beware of the “fatter” ones. 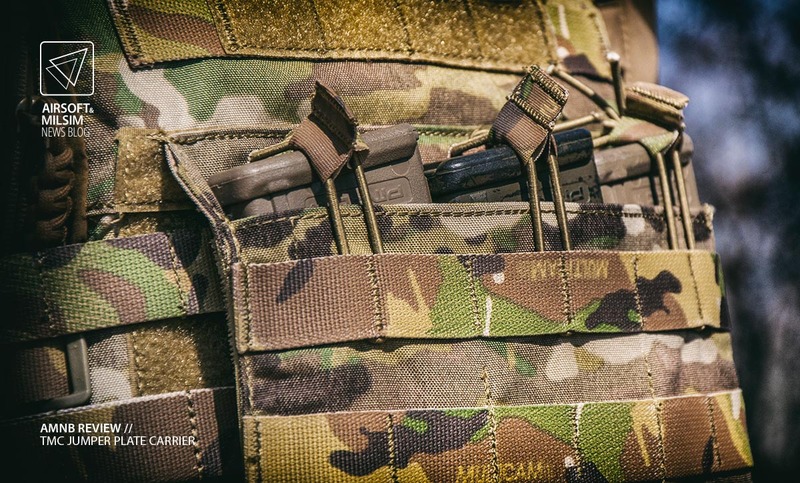 If the inserted mags are thicker than an AR magazine, you will notice that the sides of this pocket (which is also a cover flap for the cummerbund closure) want to rise up. Your vest will stay secured on your body, but it just creates an annoying gap. This opening is prone to snagging when under heavy use an it picks up anything and everything while in prone position and moving around. Not actually a catastrophic failure but it bothered me quite a bit. The use of this pouch was a love hate experience. While the hook and loop closure is nice, since it almost immediately closes after you take out any magazine. This way, it further secures the rest of them and prevents dirt or debris from getting into that pouch. As useful as this was, it was quite difficult stuffing the magazine back, after reloading. I personally don’t like dump pouches that much and like to place magazines back into pouches for easier ammo consolidation later. Under stress, this is less than ideal and requires some modification to be as useful as it should be. The Crye JPC shares this “flaw” with this replica though. In the end, you could just put some aftermarket AR mag pouches on the provided 6×3 molle matrix up front. Some HSG Tacos or similar, but that adds bulk and not everyone likes that. The front panel is the only place where the webbing placement is a bit off. Don’t get me wrong, you are still able to put any aftermarket pouch on there, but looking at it from the side, you notice slight deformation of webbing. Not a terrible thing, since this only helps to secure the mounted pouch. On the bottom edges, we find a tab sticking out from under this pouch. 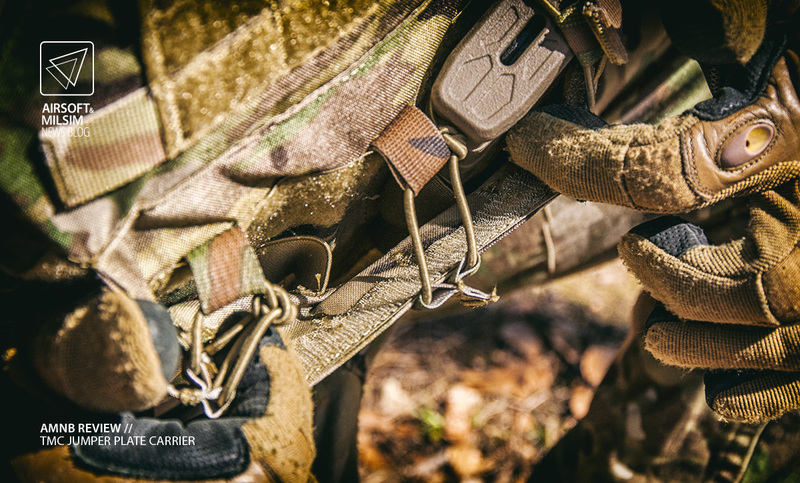 This is the pull tab that enables access to the ballistic protection compartment. Pull on is slightly with one hand so it creates a small opening then stick your other hands finger in it and easily open the hook and loop closure that cover the whole bottom portion. 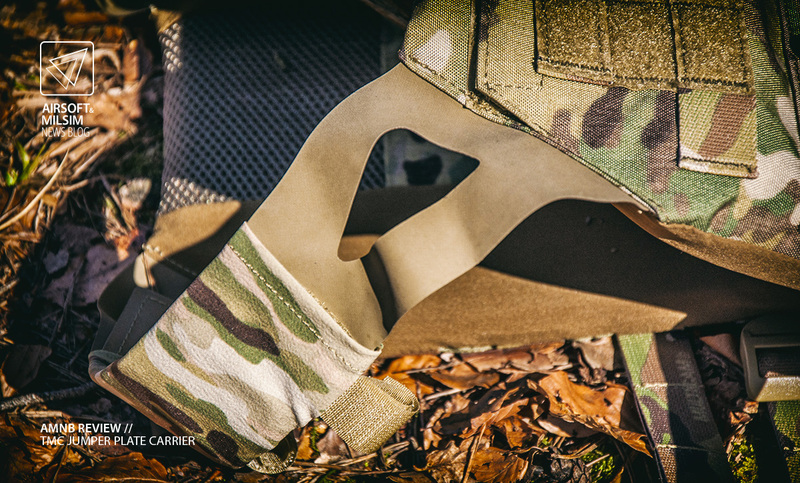 Since the closure system is identical for the front and back plate compartment, the plates can be easily removed while wearing the JPC, but only the front can be put back in this way. For the back plate, you need your buddy’s help. As mentioned the plates included are dummy plates, which only protect the user from high velocity BBs. 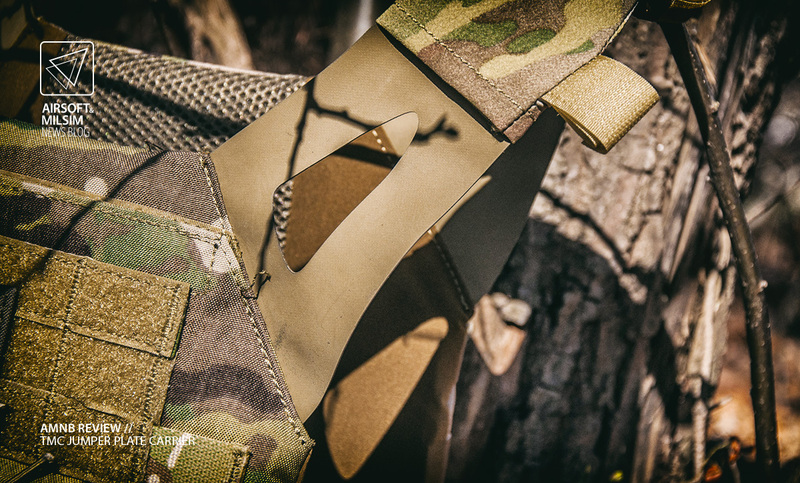 Made of a hard foam, they provide stiffness to the JPC and are quite comfortable to wear. If you’re just simulating the visual aspect, these are very nice. They contour themselves around your body so you barely notice them while wearing. They are super light-weight though. 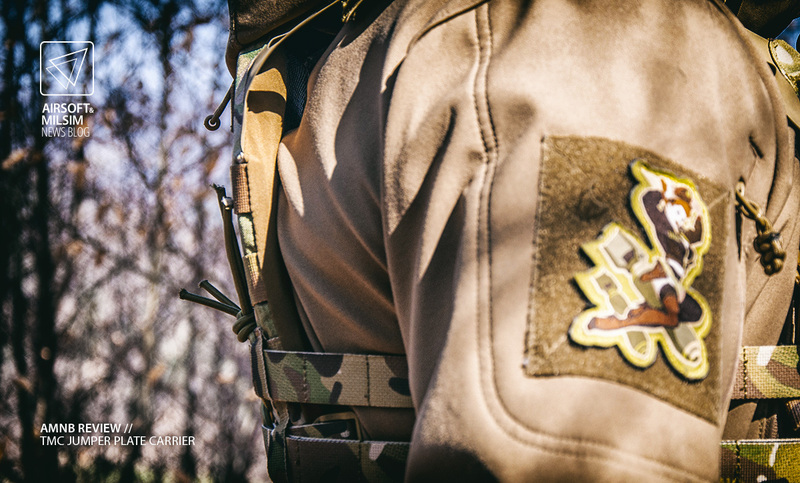 So to simulate the actual JPC, you might want to replace them. The size of the vest usually needs to correspond with the size of the plates. So to use size Large plates, you need a size Large JPC. Unfortunately i did not manage to find a different size replica, so i guess we’re stuck with size Small. So my size Medium dummy SAPI plates did not fit. I could really try and stuff them in, but the material would be over-stretched and thus prone to premature wear and tear. 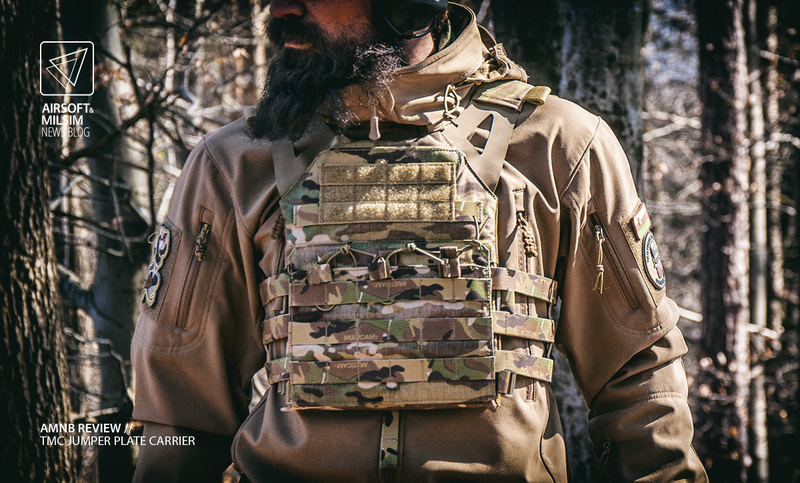 Moving to the sides, the JPC features a “skeletal” cummerbund. 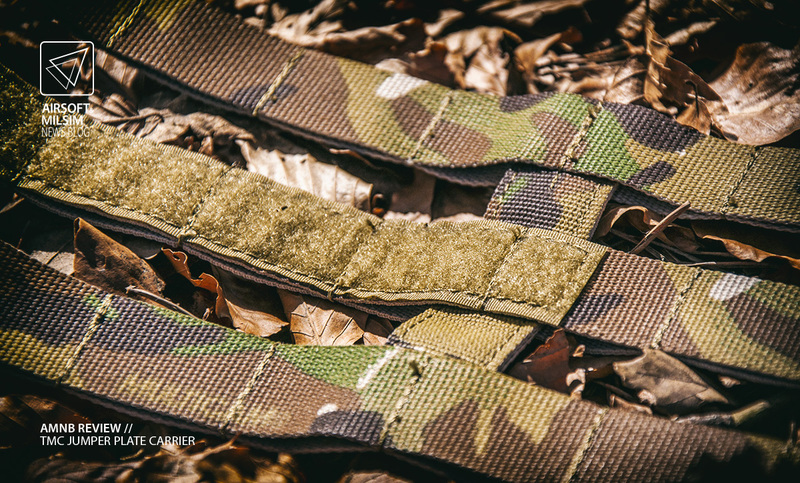 Cutting down weight and improving ventilation, this cummerbund is designed to the max. When adjusting the size, you need to undo the two shock cord closures on the back. With these you get the rough size done and do the final adjustment when closing it up front. 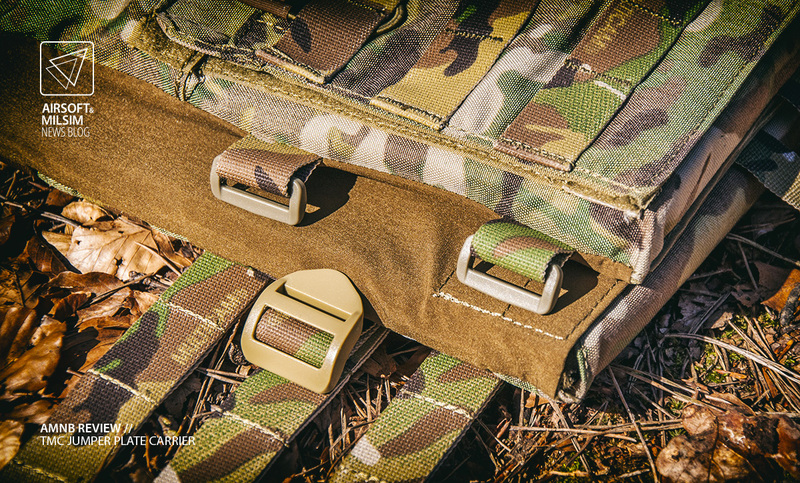 On the lower side edges of the front panel, this JPC also features four webbing loops with plastic buckles, known as front carriers. Two on each side. These are there for optional attachment of 15 x 15 cm side pouches. 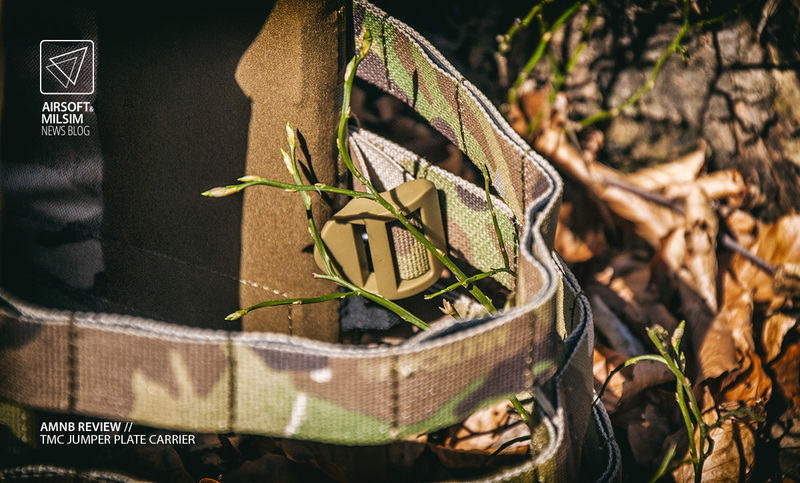 Depending on your needs, these can be mounted vertically or horizontally on the cummerbund and you can do that by the means of these front carriers. The cummerbund itself is lined with soft plastic for added stiffness. 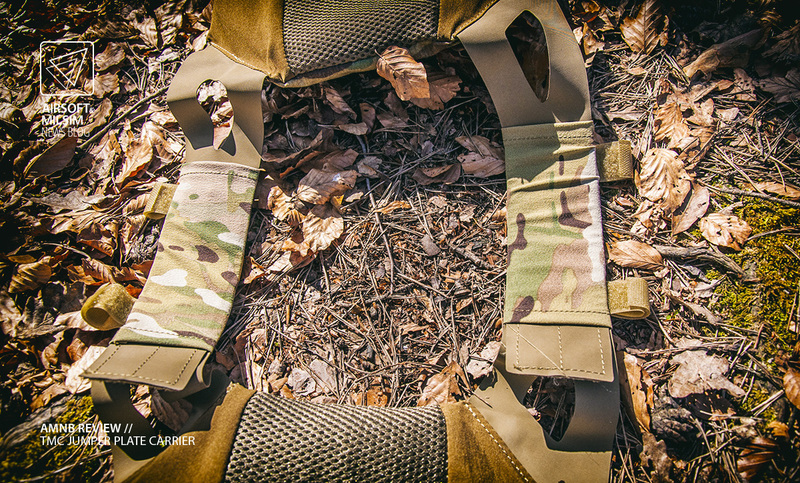 Because of it’s design, you can mount pouches on the inside and the outside. Why? Since it offers a variety of configuration options to suit an operator’s needs in terms of load distribution, load security and overall comfort. 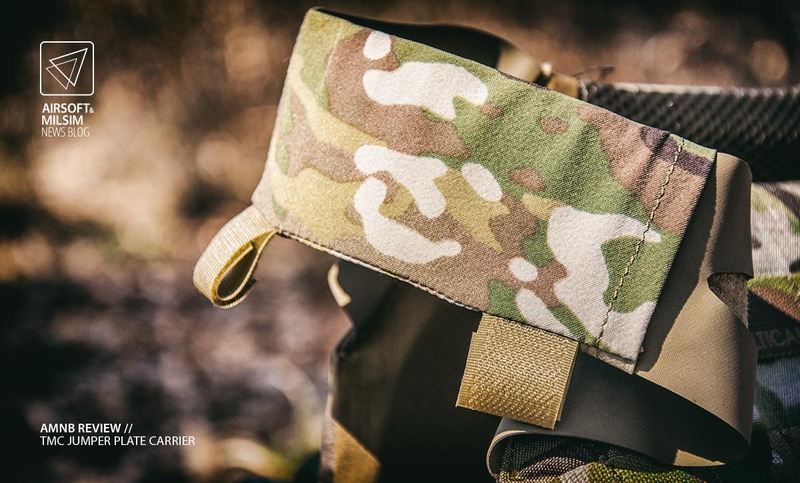 The side plate pouches available on the market allow you to carry side protection mounted on the inside, and still be able to add other pouches on the outside. A bulky setup, so if you want to go the other way, you can mount extra magazine pouches on the inside, thus making your profile even sleeker. 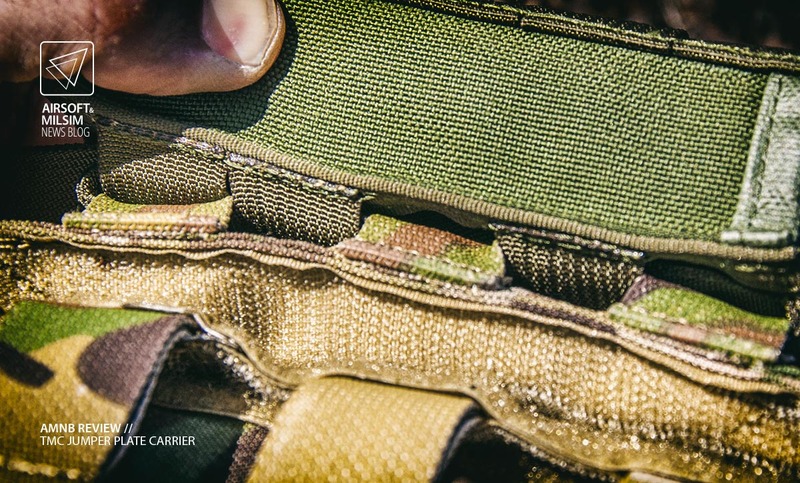 Offering a 10×3 molle matrix, it provides all the additional space you might be missing from the front. 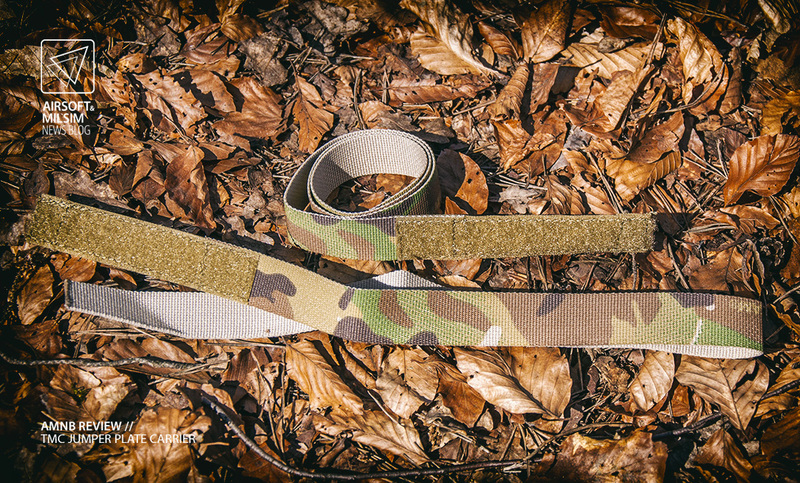 To go even sleeker, you can take the cummerbund off completely and replace it with the single strap closure system. It’s an interesting feature, that allows the user to put on and take off the carrier without undoing the front hook and loop panel. Just release the tension like you would on backpack shoulder straps and take it off. Two plastic cinch buckles, one on each side of the lower edges of the back panel make adjustment fast and easy. Up front, you secure them with the flap like the normal cummerbund. 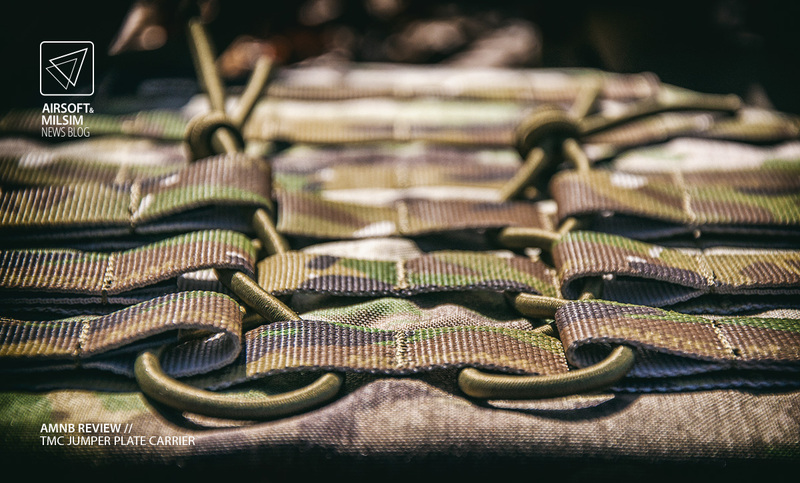 Now we’re just left with the back panel, which features the aforementioned cummerbund retention shock cord weaved into the molle matrix. All in all, the back offers a 6×5 matrix with a four loop line up top and some smaller loops on the sides. You could also change this back panel with an aftermarket one. 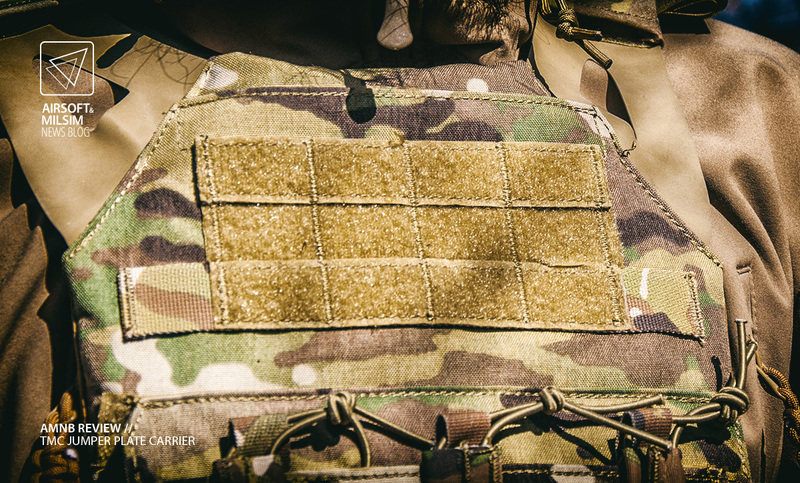 One of them features a zipper along the edges, so you can attach a combat pack or an assault pouch over a layer of smaller pouches. On the more expensive version 2.0, this zipper is there as standard. After thoroughly testing it out, i could not find anything that was wrong with it. Aside from the integrated mag pouch thing i mentioned earlier, the carrier does it’s job flawlesly. 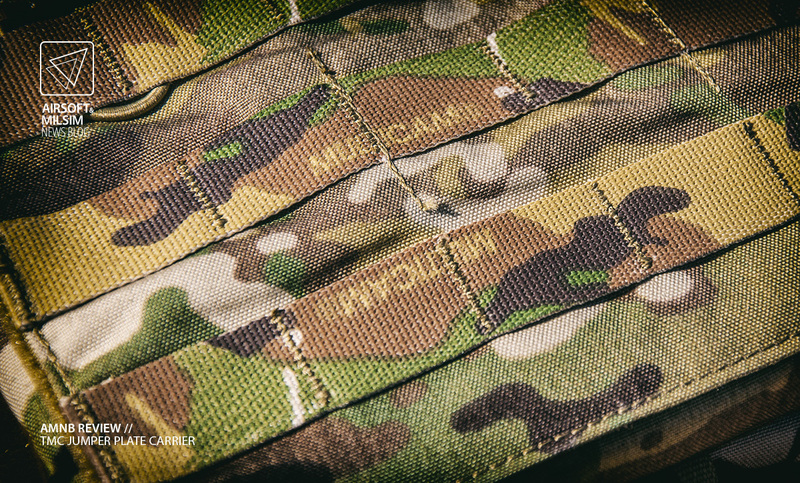 There were no deformations visible to the molle matrix and no stretching of the rubbery bits around the shoulder straps. We’ll all have to wait and see how it performs in the long run, but i think it will do just fine. 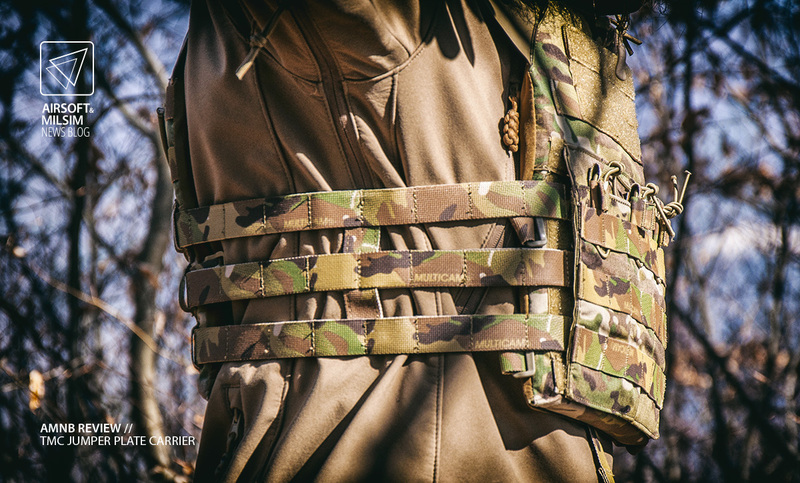 In conclusion, i would recommend this plate carrier to any reenactment player that is looking for a budget replica of a real JPC. It does its job as intended and for a price of 52.99€ on the WEAPON 7.62 web site, it’s more than an acceptable deal. 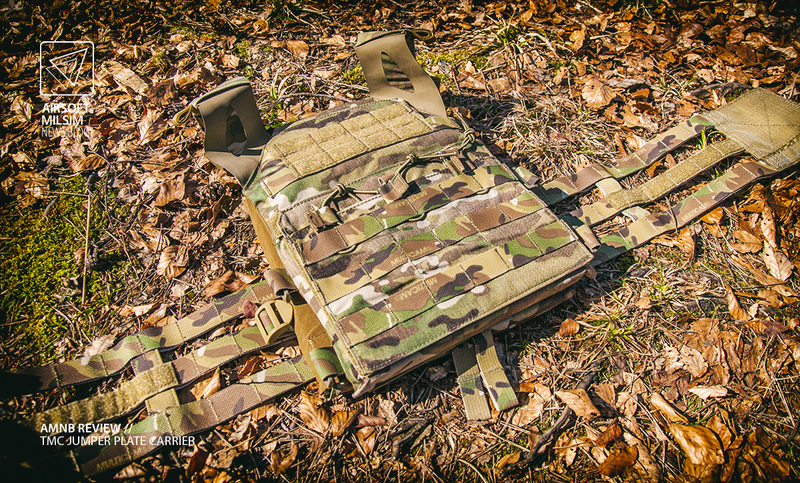 I would also recommend this JPC to anyone who takes airsoft as a training platform. Put correctly weighted dummy plates inside and use it for your training sessions. No need to damage your precious ballistic protection, when you can bash and roll around in a replica. 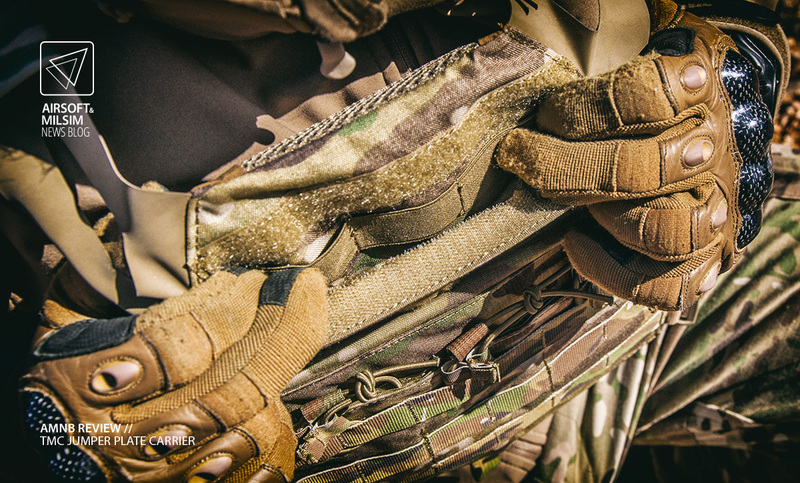 Every component withstood the testing period and now the JPC goes on to be used and abused in many different airsoft matches. We’ll keep an eye on its performance and report back if anything unexpected happens. So be sure to follow our news blog and stay in the loop. Also, if you want to connect with WEAPON 7.62, you can go over to their facebook page HERE an give them a thumbs up. Actually, when I read TMC, I got scared too. So I have the doubt ... that it really is better than Flyye? Of course, always talking about clone and not replicas, as more faithful to the original. Being a Chinese production, can you tell me if there are any JPC European producers? Thank you. I see that it is very good quality for this amount of money. We know how someone has the desire to buy more expensive brand equipment, but on this Jumpable Plate you can also have fun.